Built by American Car & Foundry in April, 1954 for Union Pacific Railroad, this baggage car was originally numbered UP #5659. In April, 1969 it was renumbered to UP #24427, then in 1975 it reassigned to UP Maintenance-of-Way as #904227. The Friends of 4449 purchased the car in July, 1997. 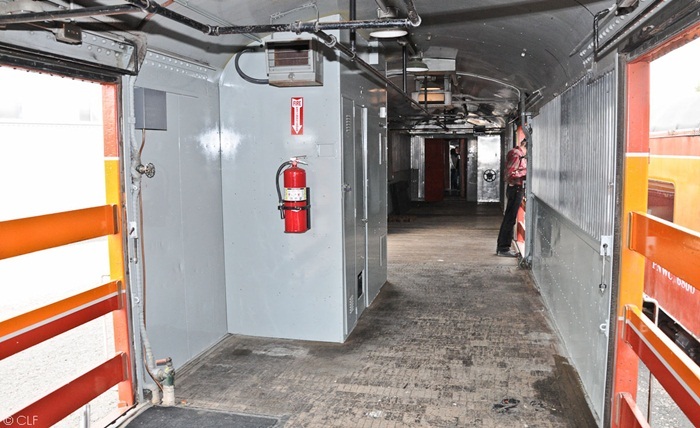 It remained in gray colors and wore the name Better Idea until it was repainted in Daylight colors in August, 2003 and renamed after a dedicated volunteer, Gordon N. Zimmerman. 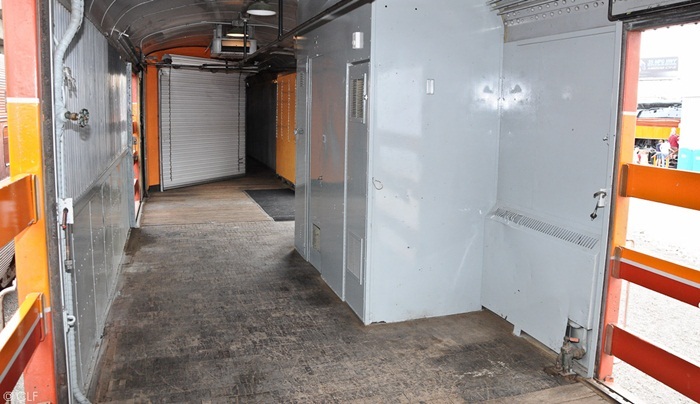 In 2009, the baggage car underwent an overhaul to bring the car up to Amtrak standards, which included the 40-year truck inspection, installation of HEP cables, new marker lights, new rubber diaphragms, end-car inspection and electrical upgrades. All revenue from leases of this car go towards the all-volunteer Friends of SP 4449. June 2011: NRHS Stampede Pass excursion - Portland, OR to Tacoma, WA to Easton, WA and return. July 2011: 70th Anniversary/Wishram Daylight excursion - Portland, OR to Wishram, WA and return. April/May 2012: Los Angeles and 3751 Grand Canyon Journey. 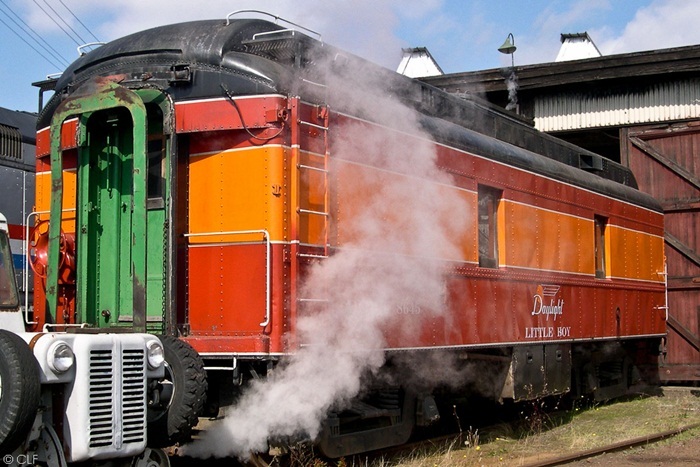 October 2012: Round-trip Portland, OR to Bend, OR steam excursion. 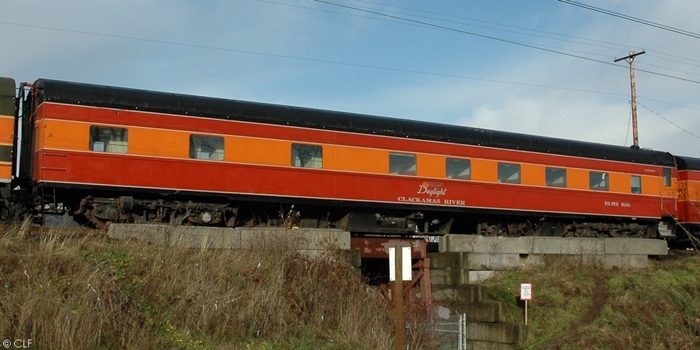 Built by Pullman Standard in 1947 for the Northern Pacific Railway, the Coach/Lounge was rebuilt to a Lewis & Clark-themed Buffet Lounge car in 1955. 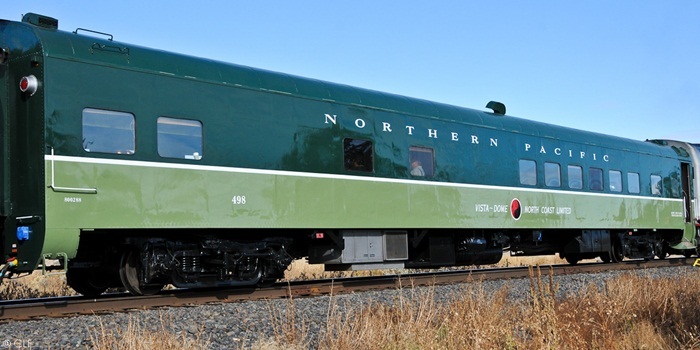 Designed by Raymond Loewy as part of his project to upgrade NP's premier train, the North Coast Limited, the car was numbered #498 and known as the Traveller's Rest. When Amtrak took over most of the nations passenger train service, it operated as Amtrak #8354, and was later retired and sold to private parties who then operated it in charter service as "Sonoma Valley". 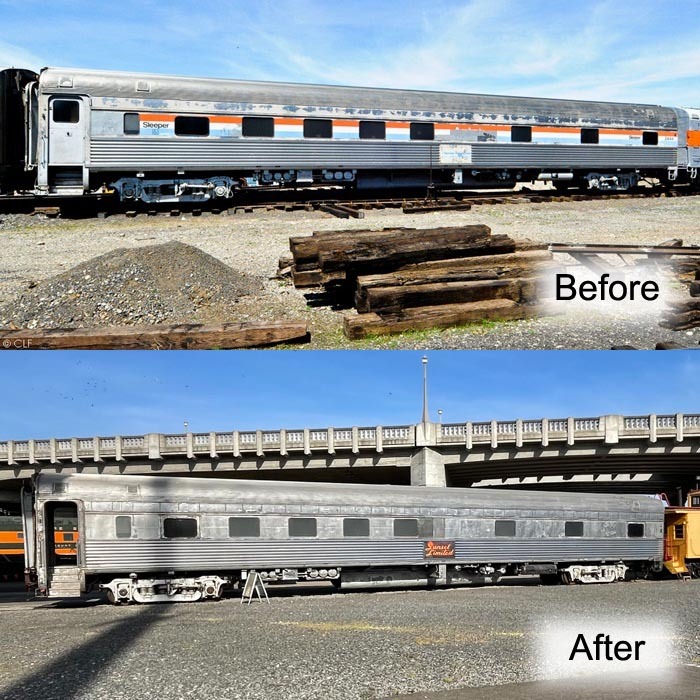 The car was donated to the Friends of 4449 in 2010, and volunteers have gone to work to bring the car up to Amtrak standards. Leases of this car help raise funds for the maintenance and operation of this car by the all-volunteer Friends of 4449. Built as a tender to Southern Pacific's AC-10 class 4-8-8-2 cab-forward steam locomotive #4219, it was later used to provide water for the rotary snow plows, and for fire-fighting service in the remote areas of the railroad. Purchased in 1984 by the Friends of 4449, the tender was aesthetically modified to conform to 4449's tender, and serves as an auxiliary tender for steam excursions. The Little Boy was built as a short GN steel Rail Post Office (RPO). It was converted into a steam heater car and later purchased by the Western Pacific Railroad. Now owned by Doyle McCormack, the number 8645 and name Little Boy is an acknowledgment to armed Americans and WWII. 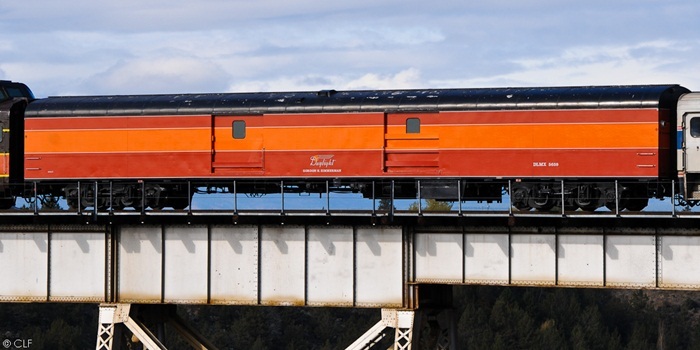 A Budd 10/6 sleeper car, built in 1950 for the Southern Pacific Railroad. Later lettered as AMTK #2444, the Friends of 4449 now owns this car. 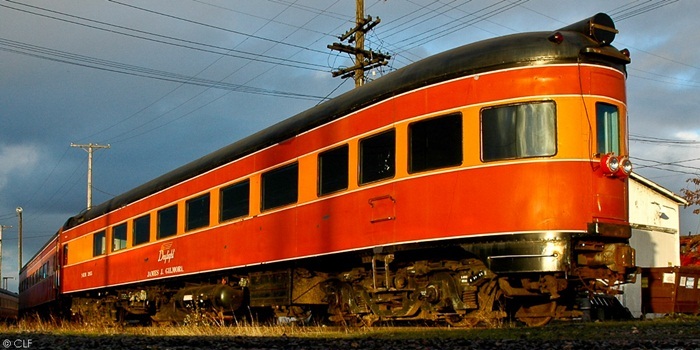 Built in 1941 by Pullman for Southern Pacific's signature Coast Daylight train (the same one SP 4449 was built for), this car later shed its Daylight colors and operated as a stainless-steel car. 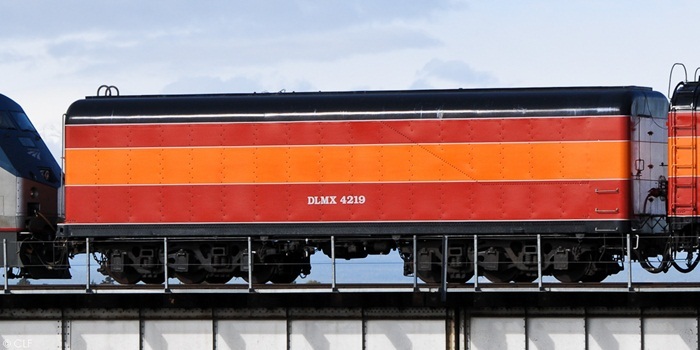 Once lettered "James J. Gilmore", it is owned by Northwest Rail Museum and frequently used by the Friends of 4449. This car is now primarily used on the Holiday Express fundraiser train. 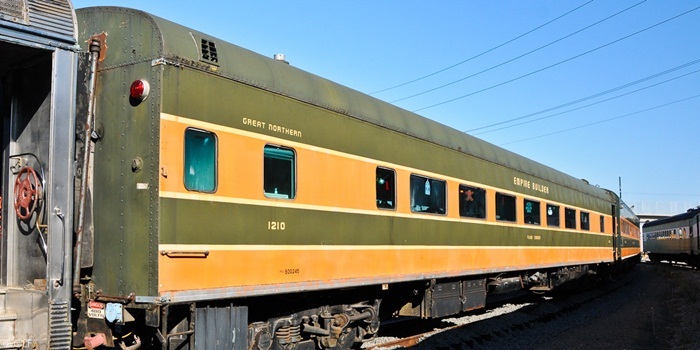 Built in 1951 by American Car & Foundry for the Great Northern Railroad, Burlington Northern later renumbered it to #6013 until it was acquired through various parties and most recently the Friends of 4449. This car is primarily used on the Holiday Express fundraiser train. Crew sleeper car, originally built for the City of San Francisco streamliner as "Rincon Hill". It was used on various excursions during the '90s and '00, most notably the Montana trip in 2004, and Holiday Express in 2006. It is currently out-of-service due to heavy vandalism.